GOOD QUESTION: Why Does the Torah Describe Babies Born Hands First? (Dr. Eran Viezel, TheTorah.com). Jacob is famously born with his hand grasping the ankle of his twin brother, Esau. Similarly, Zerah puts his hand out first, before being overshot by his twin brother Peretz. Does this reflect men’s ignorance of childbirth or their familiarity with other realia? Or both. The answers proposed here seem plausible to me. For its part, the archaeological record helps to uncover tangible items related to children and their lives, and in this regard, it is one of the most exciting strategies to use. See Also: Growing Up in Ancient Israel (SBL Press; 1 edition, 2018). ASOR NEWS: PATCHY PLASTER AND HIDDEN POTS: MY EXPERIENCE AT HUQOQ, ISRAEL (SUMMER 2018). John Huggins, 2018 Eric and Carol Meyers Excavation Fellowship Recipient. For many past PaleoJudaica posts on the Huqoq excavation and its remarkable mosaics, see here and links. For some time scholars have debated whether the Song of Songs has connections to the wisdom genre and how this changes our understanding of it. In Wise and Foolish Love in the Song of Songs, J.L. Andruska shows that the influence of the wisdom genre on the Song is pervasive, running throughout the book, and offers an entirely new understanding of the book’s wisdom message. She demonstrates that the Song has combined elements of the ancient Near Eastern love song and wisdom genres to produce a wisdom literature about romantic love, inspiring readers to pursue a particular type of love relationship, modelled by the lovers throughout the poem, and aiming to transform them, through character formation, into wise lovers themselves. Hello, BRILL! The wrong TOC is posted for this volume. Did this ring belong to Pontius Pilate? ONOMASTIC ARTIFACT: 2,000-year-old ‘Pilate’ ring just might have belonged to notorious Jesus judge. Uncovered 50 years ago at the Herodian palace near Bethlehem, a simple copper-alloy ring is now given a good cleaning — and a second look by skeptical scholars (Amanda Borschel-Dan, Times of Israel). This is a well-balanced article that explores the implications of this find cautiously and thoughtfully. On the one hand, the name Pilate seems to have been uncommon, although not unique. On the other hand, would a Roman governor have worn a cheap copper ring? I would say the connection with Pontius Pilate is plausible, but there's no way to be certain. Past PaleoJudaica posts on Pontius Pilate are collected here. This object, if it is his, would be the only surviving personal possession of the Pilate of the Gospels. But he is mentioned by Philo, Josephus, and Tacitus, and his name also appears in other archaeological finds. The "Pontius Pilate Inscription" from Caesarea certainly refers to him. There was only one man with that name who was a Roman governor of Judea. Pilate also issued some coins bearing his own name during his administration. CORRECTION (5 December): Pilate's coins did not bear his name. Apparently we know they are his from the dates and location. Apologies for the error. BRYN MAYR CLASSICAL REVIEW: Françoise Mirguet, An Early History of Compassion: Emotion and Imagination in Hellenistic Judaism. Cambridge; New York: Cambridge University Press, 2017. Pp. viii, 271. ISBN 9781107146266. $99.99. Reviewed by Andrew R. Krause, Westfälische Wilhelms-Universität Münster (ankrause@uni-muenster.de). This sounds like a very interesting book. But, and I keep saying this, the Greek Testaments of the Twelve Patriarchs is a second-century Christian work. True, in some cases it is based on Jewish material, verifiably mainly in the Testament of Levi and the Testament of Naphtali. But it is poor methodology to use the whole thing as testimony to Hellenistic Judaism. Similarly, the Testament of Job is often assumed to be a Hellenistic Jewish work. But I have explained here why this assumption is methodologically weak. But most of the material covered in this book is relevant to the topic, and the topic is certainly worthwhile. THE NSEA BLOG: COGNITIVE APPROACHES TO ANCIENT MAGIC. A workshop at the University of London Senate House on 17-18 January 2019 on a very promising subject. Free, but requires advance registration. Edmon L. Gallagher and John D. Meade. The Biblical Canon Lists from Early Christianity: Texts and Analysis. Oxford: Oxford University Press, 2017. £35/€40. ISBN 9780198792499. Pp. 359. Hardcover. I noted the publication of the book here last year. THE ANCIENT NEAR EAST TODAY: RIP: Reading Obituaries in Ancient Judah (Alice Mandell and Jeremy Smoak). A nice discussion of the Khirbet el-Qom tomb inscriptions which focuses refreshingly on something other than their mention of Asherah. And this is the first time I have seen an explanation — indeed a convincing one — of the "ghost letters" in the Uriah inscription. Some past posts involving the Khirbet el-Qom inscriptions are here, here, and here. UPDATE: I forgot to include the authors. Apologies — they are listed now. CONFERENCE: The Study of Apocalyptic and Millenarian Movements: Critical and Interdisciplinary Approaches. The Centre for the Critical Study of Apocalyptic and Millenarian Movements (CenSAMM) is pleased to announce its first annual conference, to be held at the University of Bedfordshire (Bedford Campus) 27-28 June 2019. The theme of the conference is The Study of Apocalyptic and Millenarian Movements: Critical and Interdisciplinary Approaches. The aim of the conference is to facilitate critical and interdisciplinary discussion of apocalypticism, millenarianism and associated movements across time, place, and culture, and will cover academic fields such as anthropology, archaeology, biblical studies, critical theory, cultural studies, history, literary studies, political studies, psychology, religious studies, sociology, etc. The interdisciplinary scope is broadly understood to include methodologies, comparative approaches, and showcasing of research more specific to individual fields of expertise. Follow the link for instructions for registration and submitting a paper proposal. The proposal deadline is 31 March 2019. ARCHAEOLOGY AND DECORATIVE ART: Earliest Depiction of Jesus Christ in Israel Discovered. Here's What It Shows (Tom Metcalfe, Live Science). Emma Maayan-Fanar was looking for shade from the desert sun when she saw the face of Jesus. Yeah, that can happen. But this case is unusual. This article goes over familiar ground on the story of the discovery of the painting of Jesus' face at Shivta. But it also gives some interesting background on the site. Did you know that Lawrence of Arabia explored it? Tom Metcalfe' photo essay on Shivta was noted here. ARCHAEOLOGY AND DECORATIVE ART: Photos: The Ancient Ruins of Shivta in Southern Israel (Tom Metcalfe, Live Science). Shivta is the late-antique site in the Negev where an ancient drawing of Jesus' face was recently discovered. Background here. And some previous posts on Shivta are here, here, here, here, and here. St Andrews’ first female Doctors of Divinity, Dr Margaret Gibson and Dr Agnes Lewis." It will be presented by Professor Janet Soskice (Cambridge) on Thursday 29 November 2018 (in two days tomorrow!) at 5.15 pm in School III St Salvator’s Quadrangle. If you can be in St Andrews on Thursday, don't miss it! Professor Soskice is the author of The Sisters of Sinai, a book about the Gibson and Lewis sisters. I have noted many reviews of it here and links. The title refers to their identification of Codex Syriacus or the Sinai Palimpsest, an important Syriac manuscript of the Four Gospels, at St. Catherine's Monastery in the Sinai. 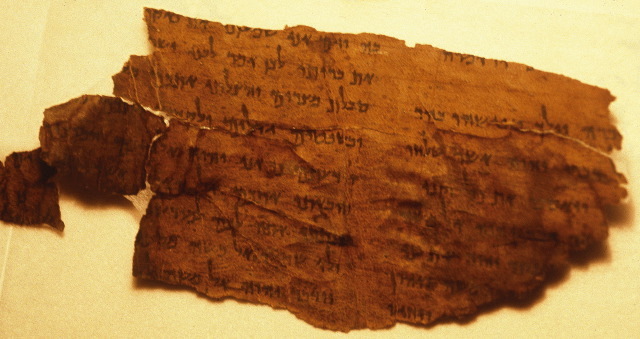 Their connection with the Cairo Geniza was explored by Adina Hoffman and Peter Cole in their book Sacred Trash: The Lost and Found World of the Cairo Geniza. The Geniza manuscripts that the sisters brought back to England were recently acquired by Cambridge and Oxford Universities. See here, here, and here. I'll see you at the lecture. NATIONAL GEOGRAPHIC: Inside the cloak-and-dagger search for sacred texts. In the shadowy world where religion meets archaeology, scientists, collectors, and schemers are racing to find the most precious relics (Robert Draper). I noted mention of the print version of this article under a slightly different title ("Bible Hunters") here, but it is now online. This is a very good article that deals with most of the recent stories about Bible-related (etc.) manuscripts, whether genuine or fake. These include Operation Scroll, which continues; Konstantin von Tischendorf and Codex Sinaiticus; the Sisters of Sinai and Codex Sinaiticus Syriacus; the Oxyrhynchus papyri; the Dead Sea Scrolls; P52, the Rylands fragment of the Gospel of John; the Museum of the Bible's fake Dead Sea Scrolls fragments and Hobby Lobby's improperly acquired cuneiform tablets; the no-longer-first-century fragment of the Gospel of Mark; and more. Read it all. DR. DAVID BEN-GAD HACOHEN: Jacob’s Journey to Mahanaim and Penuel in J and E (TheTorah.com). The merging of two different accounts of Jacob’s return home is reflected in the double etymologies for Mahanaim and Penuel. Why do both sources have Jacob pass through these two cities one after the other? The answer lies in geography. Another example of J-E source criticism in Genesis. Cf. my earlier comments here. BIBLE HISTORY DAILY: What’s Missing from Codex Sinaiticus, the Oldest New Testament? This essay was published in 2015, but I seem to have missed it then. I did note another essay published around the same time, which has just been reposted: Tischendorf on Trial for Removing Codex Sinaiticus, the Oldest New Testament (Ellen White). My comments on it are here. For more on Tischendorf, see here. THIS WEEK'S DAF YOMI COLUMN BY ADAM KIRSCH IN TABLET: The Other Temples. In this week’s ‘Daf Yomi,’ Talmudic rabbis ask if it is possible to do service to the true God in the wrong location. For more on the Jewish temple at Leontopolis in Egypt, see here. And, not mentioned in the essay above, there was another Judean temple to YHW on the island of Elephantine in Aswan. For more on it, see here and links. LARRY HURTADO: Mark and Its Jewish Context. Notice of a New Book: Reading Mark in Context: Jesus and Second Temple Judaism, ed. Ben C. Blackwell, John K Goodrich, and Jason Maston (Grand Rapids: Zondervan, 2018). David M. Grossberg. Heresy and the Formation of the Rabbinic Community. Texts and Studies in Ancient Judaism 168. Tübingen: Mohr Siebeck, 2017. ISBN: 978-3-16-155147-5. 277 + x. €129. Cloth. I noted the publication of the book here and a related essay by the author here. WILLIAM ROSS: DRAWING FOR A FREE COPY OF SEPTUAGINTA: A READER’S EDITION. For you, special deal, maybe! This Academia.edu link includes the front matter and the first, introductory, chapter. HT The Talmud Blog, Facebook. ANCIENT JEW REVIEW: Book Note | Trade and Taboo: Disreputable Professions in the Roman Mediterranean (Alexander D. Perkins). Sarah E. Bond. Trade and Taboo: Disreputable Professions in the Roman Mediterranean. University of Michigan Press: Ann Arbor, 2016. Yes, this is relevant for, among many other things, the study of ancient Judaism. WILLIAM ROSS: PODCAST ABOUT THE READER’S EDITION. A forty-minute podcast with William and co-author Greg Lanier on Septuaginta: A Reader’s Edition and the Septuagint in general. Background on the book is here and links. Eric Lewellen and John Anthony Dunne (eds. ), One God, One People, One Future: Essays In Honour Of N. T. Wright (SPCK, 2018). N. T. Wright is widely regarded as the most exciting and influential biblical scholar in the world today. These essays throw a spotlight on his contribution to New Testament theology and interpretation over the past four decades. The structure is three-fold, corresponding to the three areas of classic Jewish theology that Wright views as starting points for discerning the shape of New Testament theology: monotheism, election and eschatology. The result is a book that facilitates a deep appreciation of key areas of current scholarly debate, and of Wright’s distinctive contribution to our understanding of the issues. The contributors are world class scholars, including Richard Hays (Duke), Richard Bauckham (St Andrews, Emeritus), James Dunn (Durham, Emeritus), Michael Gorman (St Mary’s Seminary & University), David Horrell (Exeter), Edith Humphrey (Pittsburgh), Bruce Longenecker (Baylor), Oliver O’Donovan (Oxford, Emeritus), Ben Witherington (Asbury), and others. BIBLIOGRAPHIA IRANICA: The Reception of Alexander the Great. Notice of a new book from Brill: Moore, Kenneth Royce (ed.). 2018. Brill’s Companion to the Reception of Alexander the Great. Leiden & Boston: Brill. The subject is of considerable background interest for ancient Judaism. And a couple of the chapters deal specifically with the reception of Alexander in ancient and medieval Jewish tradition. THE AWOL BLOG: TLG® Online Canon of Greek Authors and Works. This looks like a helpful resource for users of the Thesaurus Linguae Graecae Canon database. RELIGION PROF.: #SBLAAR18 Recap. James McGrath took many selfies. THE ETC BLOG: Blog dinner photos (Peter Gurry). Tommy Wasserman gave the annual address. BRYN MAYR CLASSICAL REVIEW: Johannes Christian Bernhardt, Die jüdische Revolution: Untersuchungen zu Ursachen, Verlauf und Folgen der hasmonäischen Erhebung. KLIO. Beiträge zur Alten Geschichte. Beihefte, neue Folge, Band 22. Berlin: De Gruyter, 2017. Pp. xiii, 726. ISBN 9783050064819. €99,95. Reviewed by Jan Willem van Henten, Universiteit van Amsterdam (J.W.vanHenten@uva.nl). This revised dissertation offers two books for the price of one: It deals with what is usually called the persecution of the Jews by Antiochus IV Epiphanes and the Maccabean Revolt with its aftermath. The book’s title is a clue to Bernhardt’s interpretation of the events (as explained on p. 34 and 484). The entire process of the causes, course and impact of the Maccabean revolt, together with the discursive development of Judean identity, points to a Judean or, better, a Jewish revolution. Besides a very detailed history of this revolution, the book offers a historiography of the events with detailed surveys of previous scholarship (up to 2015) and appendices about many issues dealt with by previous scholars.